He loves Australian golf, just helped to launch the new Big Bertha, and has been a staple of the golf industry for over 25 years. Roger Cleveland recently sat down with Inside Golf to discuss his club designs with industry super-power Callaway. The Big Bertha is back. What prompted that? Well, we have two new Big Berthas: the Big Bertha Driver, which features adjustable perimeter weighting; and the Big Bertha Alpha, which features our new adjustable Gravity Core technology. Both also have adjustable hosels. We brought back the Big Bertha name because we really did something that hadn’t been done before in golf with the Alpha, making it worthy of the Bertha name. The Alpha is the first time that golfers can independently adjust spin rate without affecting loft by changing the vertical CG (center of gravity) element of the club. I actually did this in the muscle-back irons as well—addressed vertical CG on the vertical axis, where you move weight up and down the clubhead to facilitate a certain type of ball flight. 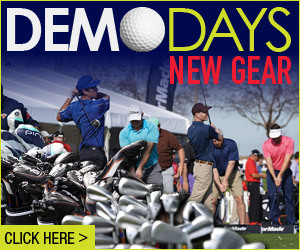 What do you feel is critical about the Bertha for the everyman golfer? fit them for every golfer. With the Big Bertha we have a weight that moves around the perimeter of the club. Therefore, the moment of inertia (resistance to twisting on off-centre hits) is much greater. So you’re going to get greater stability with that club. Well, both the Big Bertha and the Big Bertha Alpha have four different loft settings, which can be adjusted via the hosel. For instance, with the 9.5 degree clubhead, players can adjust one or two degrees up in loft, or one degree down from the standard stated loft. 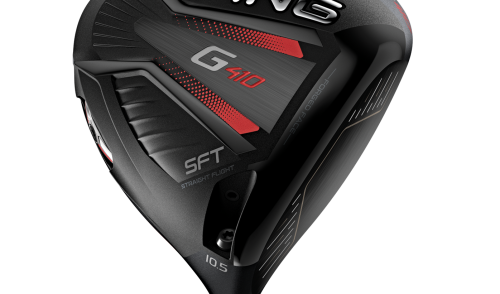 What makes the Big Bertha Alpha Driver so groundbreaking is its Gravity Core technology, which allows adjustment to the vertical centre of gravity. That means players can change spin independent of loft for the first time. So depending on your attack angle, you can see a variance anywhere between 250 and 400 rpms without changing loft. So if you play Royal Melbourne and typically struggle to hit the ball under the wind, you can adjust the gravity core to place the weight in the low position, which will reduce your spin. 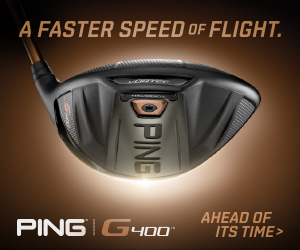 That’s the key to being able to fit the driver for any playing conditions. The gravity core, along with the along with adjustability of the hosel, give us incredible flexibility in fitting the Alpha driver. What else is vital about the Big Bertha Alpha? The Alpha is a little bit smaller but a little bit deeper. It’s deeper because we wanted a longer distance for when you move weight up and down. If you have a bigger distance, it has more effect when moving the weight. We deepened that and it’s a beautiful driver. How proud are you of your wedge work? What I’m most proud of is that they are being well received, not only in the marketplace but also on Tour and that’s nice. It’s a nice vote of confidence for the design and feel, and the whole presentation. and pushing that. If there’s any one design philosophy it’s always trying to innovate and make a club for the category of golfer that we’re looking to design to. We try to bring as much innovation as we can to that category and ability. We have four different irons, there’s four different price points. I want the club to look as good as it possibly can and be as appealing and easy to hit. I want to constantly strive to have that result in the design, that’s the philosophy, simple as that. How much is aesthetics factored in to your design? It’s huge. It’s got to be appealing to look at and exciting to own. I want to be proud of my club. It’s a little bit of a status symbol. Not only that, but you want it to perform like crazy. You want to beat your partner’s brains out on a Saturday. And a Sunday warrior on the Tour has to like it as well. So it’s very important and we take a lot of pride in it. 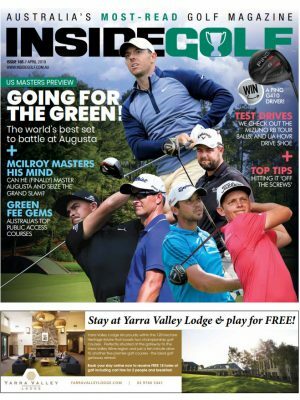 What do you make of Australia and its golf? 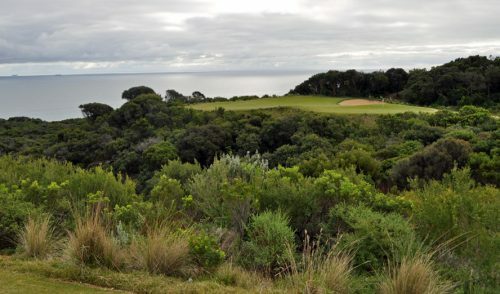 Australia to me has the best golf courses in the world. Especially in the Sandbelt area. Kingston Heath is one of my favorites. I haven’t played a lot but I’ve played Kingston and Royal Melbourne. 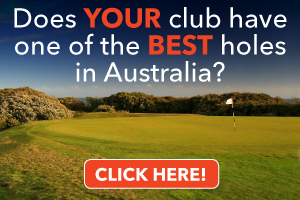 I enjoyed Australia as a whole, a great country and a great golfer’s country. 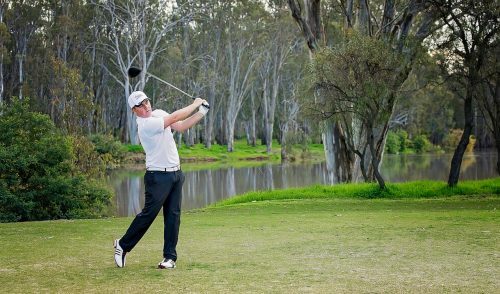 With some of the firm conditions that face Australian golfers how do you think your wedges will consistently respond to the terrain? a lot of firm conditions in Australia. And these Mack Daddy 2 Wedges are very good for those conditions. You don’t want to have a lot of bounce, you’re not going to hit down under the ball with the leading edge. With firm conditions you have two wedges out of the three in the loft category that have 10 degrees of bounce, which is perfect for conditions like that. 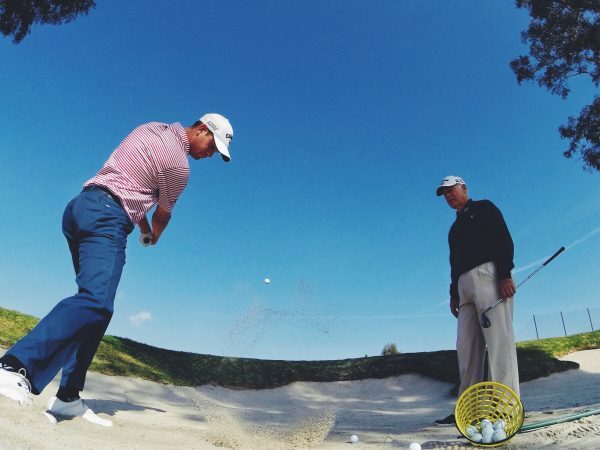 What’s your general thought on spin with the driver? it further if you get to 1,100 rpm’s but you’re not going to be able to control it. We investigated reducing spin with a higher loft, but players want to be able to control the ball and see a nice ball flight. So there’s an optimal spin that we try to shoot for and still maintain that controlled flight. Talk about your hybrids, the X2 Hot and X2 Hot Pro. We have two different hybrids. A pro version, which is a little bit smaller (X2 Hot Pro) and a little less offset, and the bigger version (X2 Hot), which doesn’t have much offset either. We use the same Hyper Speed Face Cup technology found in our fairway woods in both hybrids models, so they are very long. They sound great and ball speeds are amazing. The new shape, designed with feedback from tour pros, creates confidence over the ball. How vital is a good sound coming from your clubs? You want the club to sound strong and you want to have a great, pleasing sound. That’s one of the things we spend a great deal of time on in player testing our products with R&D. There is a pleasing sound and there isn’t. There are some clubs out there that sound like a tin can and we don’t want that (laughs). It’s still one of the critical factors that good players pay attention to when testing clubs. Talk about this year’s irons, quite a variety with the X2? Our new family is called X2 Hot. Within that, we have the X2 Hot Irons and X2 Hot Pro Irons. The X2 Hot is designed for higher handicap players looking for great ball speeds and forgiveness. The X2 Hot Pro is a bit more traditional with a little smaller head for a better player. The new Apex Iron is forged, with a Carpenter 455 Steel face, the same material we use in the X2 Hot iron faces that provides great ball speed with a feel of a forging. It’s marvelous. The new Apex Pro Iron has a little smaller head and gives some forgiveness, but it’s aimed at more accomplished player. It has a beautiful shape, it feels great, and a lot of players are now using it. I haven’t really thought about my legacy yet.